You sure this is a "Wall Mount" OP? 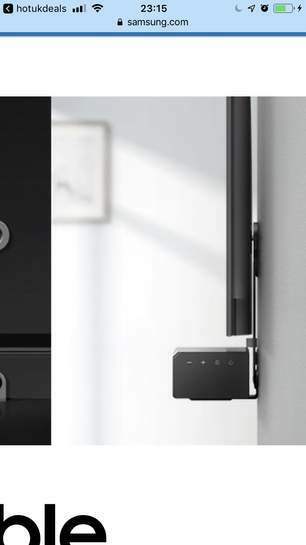 Looks, and reads, more like a Sound Bar to TV mounting kit for Samsung devices. I got this when it was reduced to £15 and it was the worst £15 I have spent on something technology related!! I mounted my HW-MS6500 to my 55MU9000 and the bracket isn't strong enough to hold the weight of the soundbar so it just bows downwards (effectively pointing the soundbar down 30 degrees looking ridiculous). In the end I just stuck the TV on a decent table top stand and sat the soundbar underneath, total waste of time. The only thing worth having in the box is the vast array of screws to go in your tool box and the cable which connects the soundbar to the TV meaning you only need one power source. I always like Samsung products but this for me was dreadful and from the reading the reviews online, other agree! 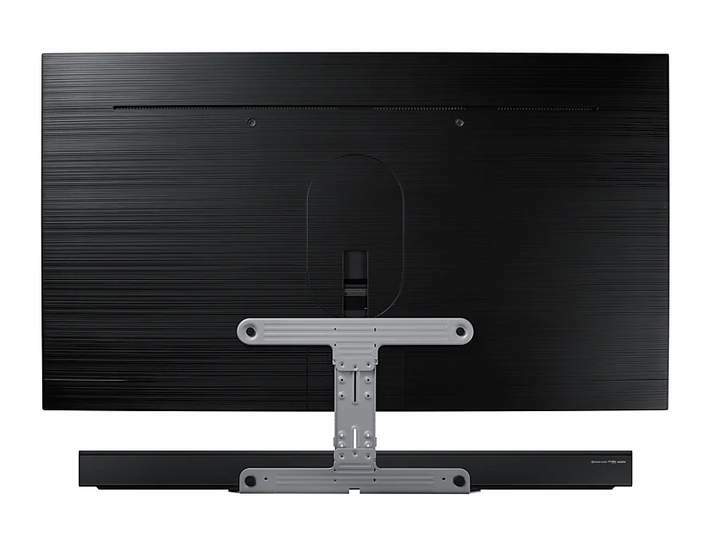 You sure this is a "Wall Mount" OP?Looks, and reads, more like a Sound Bar …You sure this is a "Wall Mount" OP?Looks, and reads, more like a Sound Bar to TV mounting kit for LG devices. I got this when it was reduced to £15 and it was the worst £15 I have s …I got this when it was reduced to £15 and it was the worst £15 I have spent on something technology related!! I mounted my HW-MS6500 to my 55MU9000 and the bracket isn't strong enough to hold the weight of the soundbar so it just bows downwards (effectively pointing the soundbar down 30 degrees looking ridiculous). In the end I just stuck the TV on a decent table top stand and sat the soundbar underneath, total waste of time. The only thing worth having in the box is the vast array of screws to go in your tool box and the cable which connects the soundbar to the TV meaning you only need one power source. I always like Samsung products but this for me was dreadful and from the reading the reviews online, other agree! Hmm. I’ve bought this in anticipation of the soundbar arriving next week. I suppose at this price I can only wait and see. Can u use it without the sound bar fixing? It really isn’t a wall mount. It fixes to the 2 bottom screws of the wall mount fixings on the telly and then the soundbar screws on the base held there by 2 black nuts. This is not a wall mount and if you think it is prepare to be very disappointed. I can honestly say I agree and disagree with this. Yes it’s not ideal the bracket and a plastic back tv are never gonna be solid and i can imagine it would bow given the right conditions. But for me it works great. 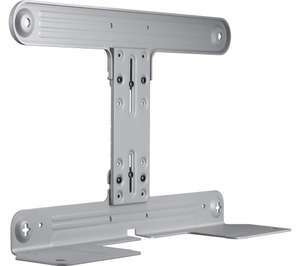 I have the flat to wall Samsung mount mainly because if the wall or bracket is wonky you can still make the tv level. My tv is a angle of the wall so it angles at the top towards where we sit. Having the flex in the bracket actually means that although the tv is sticking out at the top from the wall the actual soundbar is flat to the wall. Had it of being secure it would never have gone flat to the wall at all and probably wouldn’t have worked. Deal posting newbie! This is Higgy74 first deal post. Help out by leaving a posting tip or just to show your appreciation for their contribution.